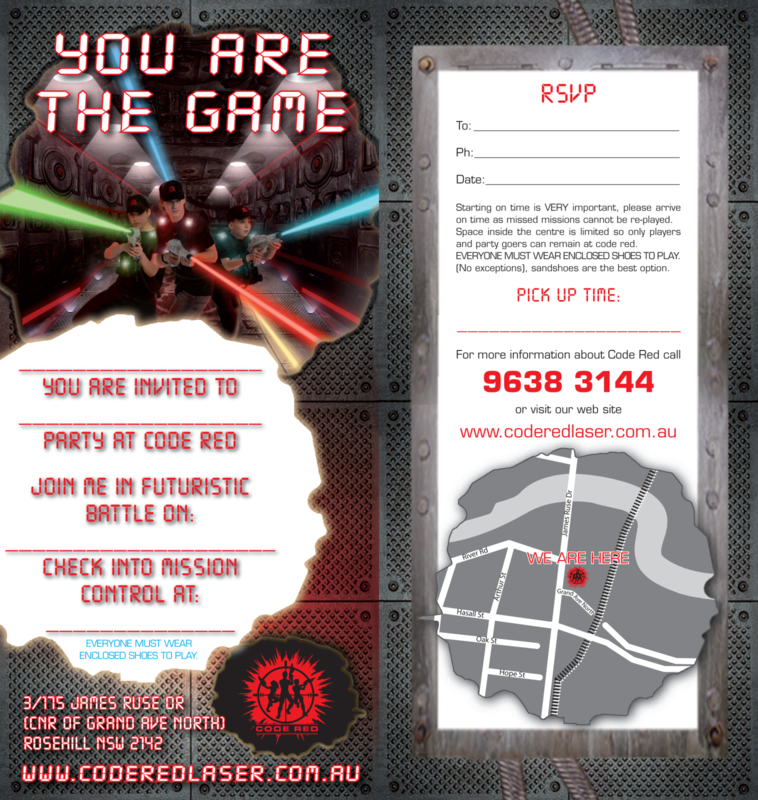 Code Red Laser has an amazing interactive Laser Skirmish Arena and our parties are 100% hassle free. 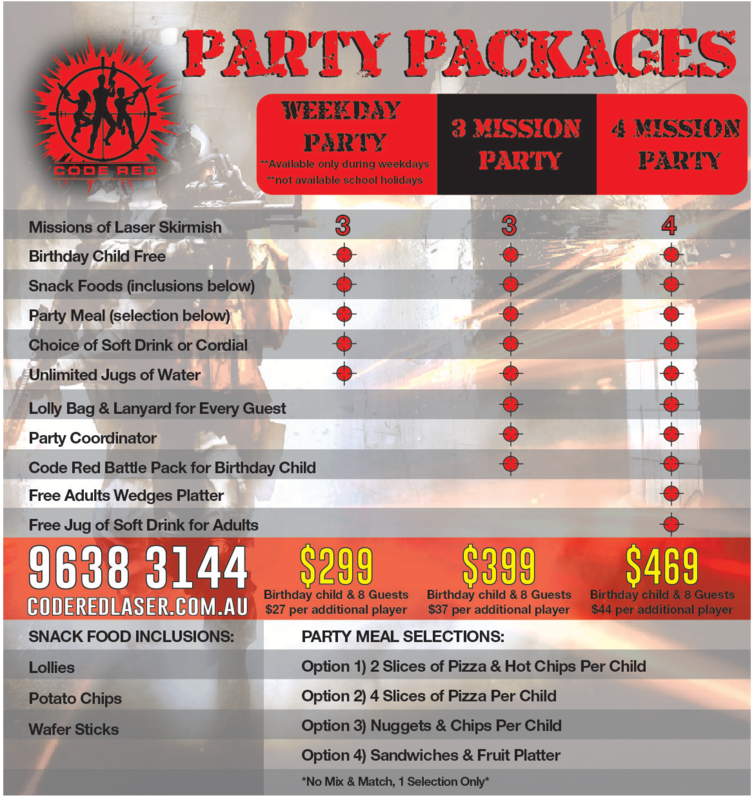 We provide everything from invitations to great food to cutting the cake. All you need to do is book, invite your guests and arrange your own special birthday cake if required. We can even supply a delicious birthday cake if you would prefer to save the effort. 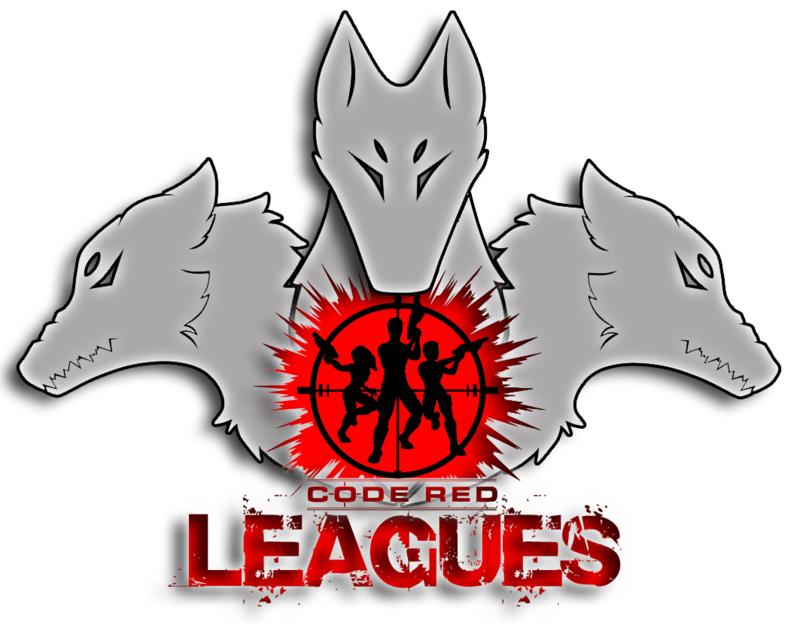 Our experienced team will ensure that your party is fun and hassle-free.